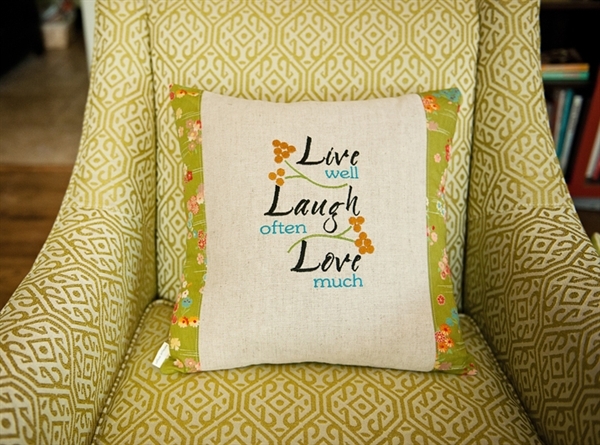 Add some inspiration to your home with this famous quote. 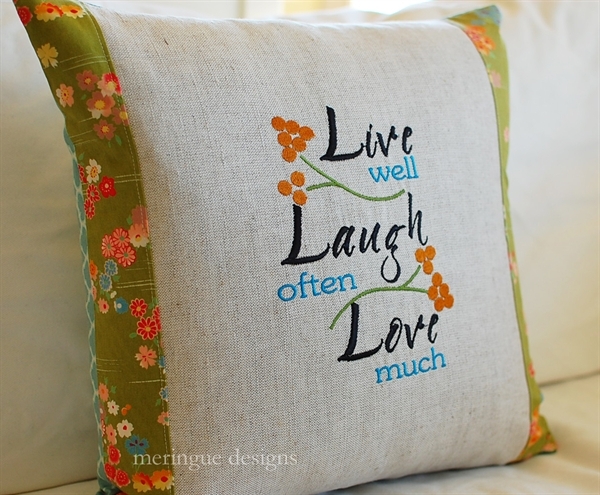 Live well, Laugh often, Love much. 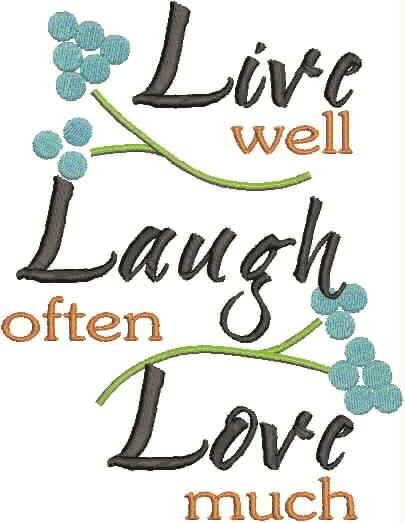 A great inspirational phrase. Customize it with colors to match your home. 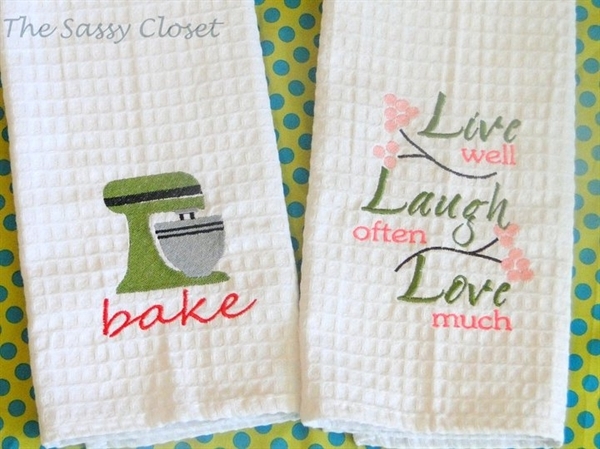 Would make a great embroidered gift for a new couple. 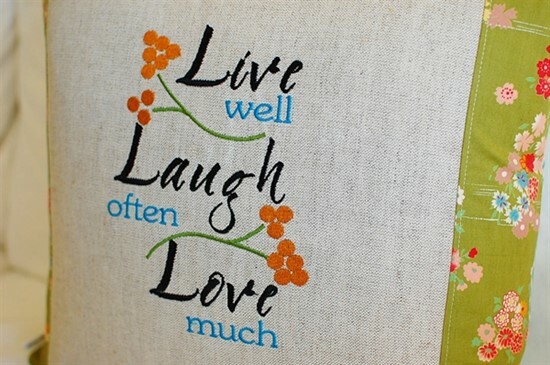 live well extra small 2.8"x3.7"